Notes go home. Newsletters go home. Still several parents "didn't know about.........picture day was yesterday....field trip permission slips were due 4 days ago....it's library day today & library books are due....."
I'm NOT the only one, right?! Please say it isn't so! Some kiddos' backpacks are like a blackhole...notes go in, but they never come out. Somehow, notes and newsletters just never make it home. Hey- I'm not passing any blame or judgments here. 50% of my own children had that very same issue. It's frustrating both as a teacher AND as a parent. This year, my teamie and I tested out Remind 101. LOVE it! Have you heard of it? It's a super handy FREE little online program that lets you send text messages to parents. The cool thing? There's NO exchanging of phone numbers! Parents don't get your number, you don't get the parents' numbers, & the numbers aren't visible on a list for any of the other parents to see, either. We really appreciated the features that made it a safe way for us to communicate with families via text. So - how does it work? It was super easy. You are given a class code (mine was @mrsfrady), and those who want to sign up just have to text that code to a certain phone number that Remind 101 will give you. Once they send that text, they're on your subscriber list & will receive all the messages you send via text. To send a reminder message, you log into your account, type in your message, click send, & you're done! You can also schedule messages to go out at a later time. I actually set mine up to message parents each week the evening before our library day to remind everyone to get those books back in their backpacks! Library is tomorrow - Remember your books! Permission slips for the museum trip are due Friday. Gym day tomorrow--- Don't forget to wear sneakers! Field trip to the farm tomorrow. Dress for the weather & remember no sandals. Remember reading logs are due Friday! Don't forget our Poetry Coffeehouse is next Tuesday. Hope to see you there! Our class is collecting paper towel rolls. We'd appreciate any that you can send in for us! Picture day is Wednesday. Look for order forms to come home. Get ready to smile! I'd love to hear any other ideas you have for ways you could use Remind 101. Please share in the comments below! This is so cool! 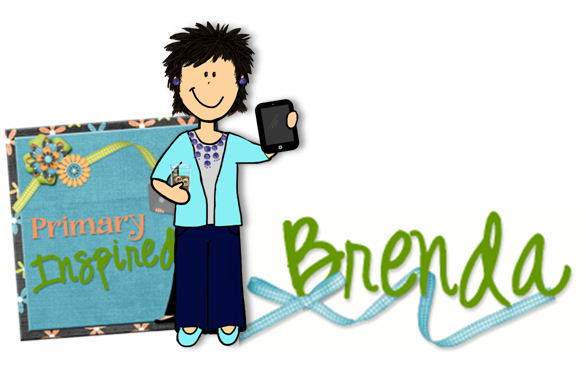 Thanks for sharing Brenda! It is! I love using it! Our principal uses this with the staff to send out the weekly agenda, alerts, and everything else in between. Everyone gets the updates and it all works so well. (Plus, he doesn't have to get all the questions). Win/win situation. That's awesome! I hadn't thought about using it for staff communication....what a great idea! We need that at my school! I love the idea of the principal using it to send out alerts and agendas. Communication would quickly improve! This is fantastic! Thank you for sharing such a great app! I tried to do use it this year, but parents would say they had "logged in" to sign up, and hadn't. I finally just texted them and it worked great! I know many teachers wouldn't want to give out their cell number, but not a single parent has abused it. One actually used it to let me know her daughter had been in an accident. I've been wanting to try this! Thanks for reminding me about it!